Dodopapa Stainless Steel Baby Bowl - Lavend..
Dodopapa Right Brain & Left Brain Spoon.. This bowl set contains all items you need when going out to eat with toddlers - a bowl with lid, a spoon and a pair of scissors. 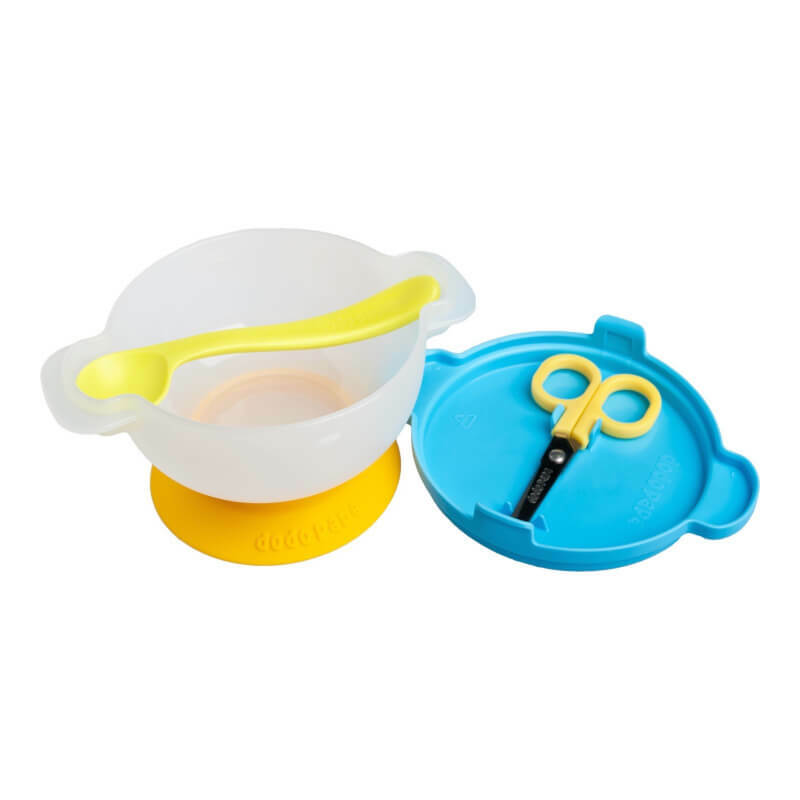 The spoon is ergonomically designed to enable toddlers to learn to feed themselves without making a mess and the scissors can be used to cut food into small pieces to help toddlers to digest. This all in one bowl set contains a pair of scissors which makes eating out with toddlers convenient and hygienic. The scissors can withstand the temperature of 130°C. 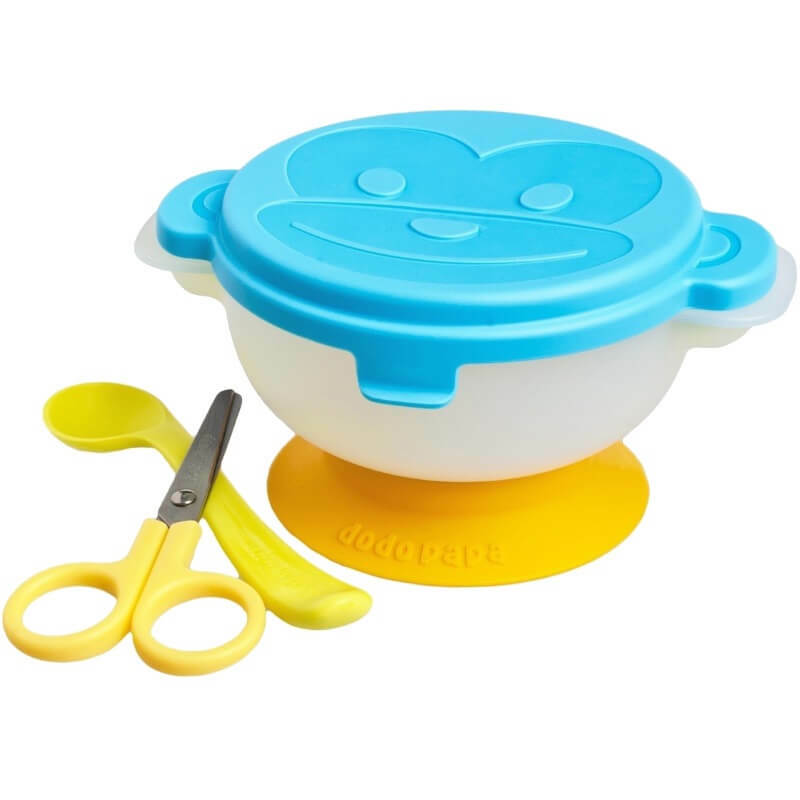 Ergonomically designed with head of the spoon 30 degrees angled and a curved handle enables toddlers to feed themselves effortlessly. Strong suction base helps preventing spill and could be removed easily for cleaning. Except for scissors, the bowl set can be used in microwave oven or dishwashe. Before putting the bowl into microwave oven, please remove the lid. Keep the scissors out of reach of children. Please sterilize the product before use. It could be sterilized by putting into boiling water for 2 to 3 minutes. Overheating might cause the product to deform. To prevent product from deforming when boiling, avoid plastic part of the product touching the side of the pot. Suction base is removable for cleaning purpose.